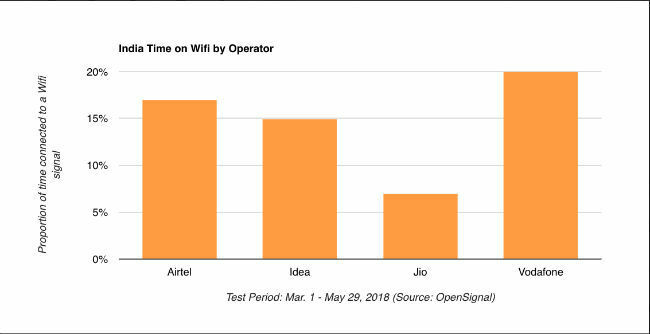 OpenSignal reports that due to the “impressive” availability (96.4 percent) and high level of connectivity of Jio 4G, its users are connecting to Wi-Fi less than those subscribing to rivals networks. At a time when the increasing smartphone penetration is providing a gateway for Internet growth in India, a new report by London-based wireless company OpenSignal has claimed that Jio 4G users in the country connect to Wi-Fi networks the least as compared to the subscribers of the other mobile internet service providers. According to the firm’s data, which it collected over 90 days from March 1, 2018, the company’s users on Vodafone network spend the most time connected to Wi-Fi, at 20 percent of the time. This is followed by Airtel with 17 percent, Idea on 15 percent, and Jio at 7 percent. In its recent State of Mobile Networks: India report, OpenSignal clocked Jio’s 4G availability at a hugely impressive 96.4 percent. The company says it is due to this level of 4G connectivity that Jio customers may not be seeking out Wi-Fi connections even when they are available. “There’s been a huge amount of excitement around 4G networks in India, as competition rises and more and more Indians are coming online. In our last report, we measured substantial improvements in 4G availability in the country, as operators have made access to LTE signals a new priority. But Wifi connectivity among mobile users is still relatively low in India, even though the focus on Wifi has been renewed,” Peter Boyland from OpenSignal wrote in the report. He points out that Wi-Fi networks don’t get the same amount of interest in the Indian subcontinent, as the evolution of telecoms has somewhat skipped the fixed-broadband stage of development and have gone straight onto 4G. 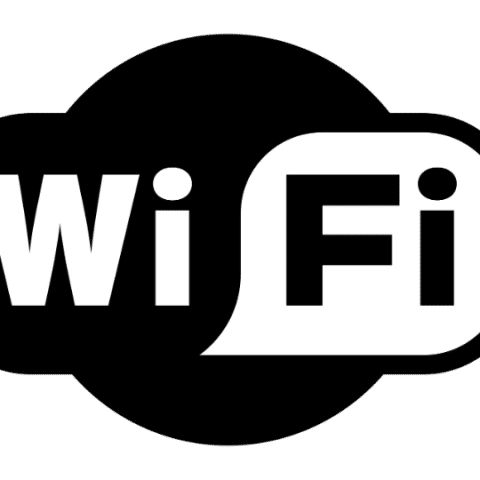 He adds that even though there is a lot to be done, there are a significant number of users in India which are connecting to Wi-Fi at home or at work. When it comes to the installation of publicly-accessible Wi-Fi spots, the concept is becoming more important as users are now consuming more data than before. The report goes on to say that Wi-Fi connectivity in India is growing, but it is still below more developed markets such as the US where the company measured Wi-Fi connectivity at around the 50 percent mark. The Indian government is also working in this direction and has planned to provide coverage to some 250,000 panchayats and 5,000 railway stations within the next two years, the executive mentioned. India has seen massive growth in its mobile networks in the past few years and is now ranked among the top 20 countries that OpenSignal has measured for 4G availability. But 4G speeds in the country are still among the slowest that OpenSignal has recorded. Not only is Wi-Fi a great option to take the strain off the mobile networks, it is also vital to improve connectivity and fuel the growing digital economy. According to The World Bank, a 10 percent increase in Internet penetration can generate a 1.4 percent increase in the global GDP. “And this would likely be even higher in a developing market like India with a large rural population, and limited access to banking and e-payment services that smartphones can provide,” Boyland added.